Often the reason I stop working on something is because I'm not sure how to continue with a piece and I'm pretty sure this was the case with this project. 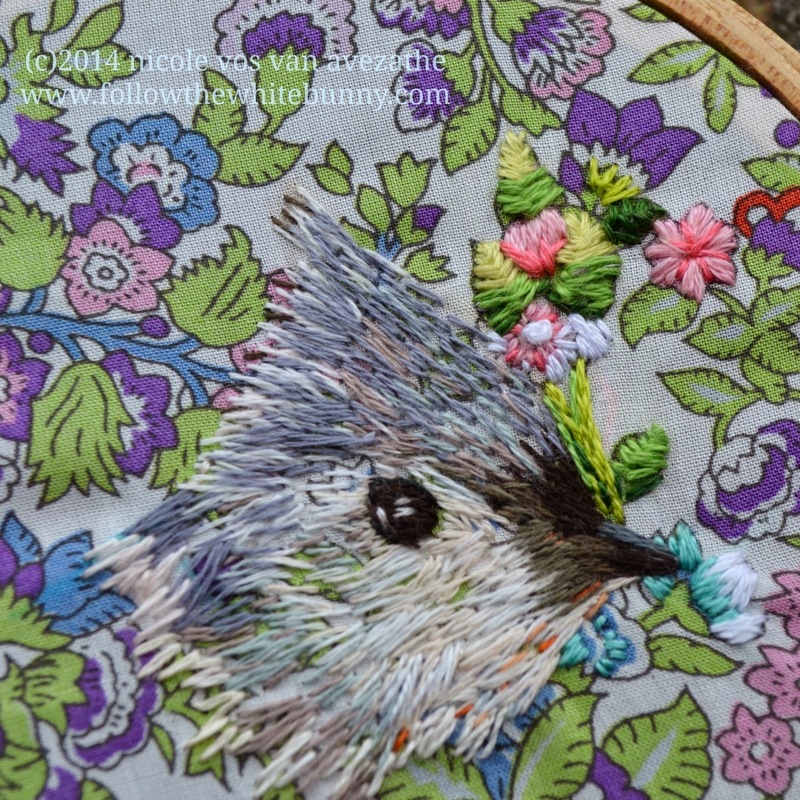 But when I pulled this Tufted Titmouse embroidery from the WIP basket I suddenly *knew* I had to add some stitching to the background. I get these little birds in my garden here in California. They are very sweet. This is a beautiful project. Looks like he's peeking out of a flowering bush, very pretty. 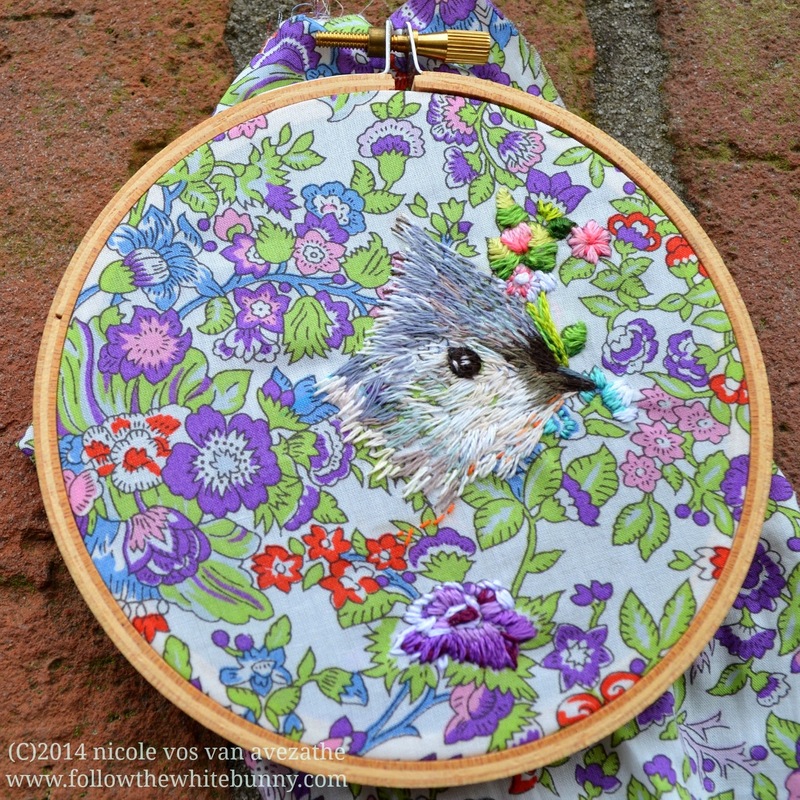 I didn't notice the background stitching until you mentioned it. It looks beautiful, I love the subtlety! This is totally ace & I can't wait to see how it turns out!